Postal P.O. Box 218, Belgrave, Vic, 3160, AUSTRALIA. Steve Goschnick (2012). Automating the TANDEM Design Method in End-User Programming Environments, International Journal of People-Oriented Programming, 2(1),IGI Publishing, USA, pp.16-52. Steve Goschnick (2012). Editorial/Preface, International Journal of People-Oriented Programming, 1(2), IGI Publishing, USA. Steve Goschnick & Sandrine Balbo (2011). Editorial/Preface, International Journal of People-Oriented Programming, 1(1), IGI Publishing USA. Steve Goschnick, Liz Sonenberg & Sandrine Balbo (2010). A Composite Task Meta-model as a Reference Model, Human-Computer Interaction, IFIP AICT 332, pp26-38, Springer Berlin (Proceedings, IFIP TC 13 Symposium, HCIS 2010, held as part of World Computer Congress, Sept. 20-23, Brisbane, Australia. Steve Goschnick, Sandrine Balbo & Liz Sonenberg (2008). From Task to Agent-Oriented Meta-models, and Back Again, TAMODIA-2008, Presented at: 7th International workshop on TAsk MOdels and DIAgrams, Sep, Italy. Steve Goschnick, Sandrine Balbo & Liz Sonenberg (2008). ShaMAN: an Agent Meta-model for Computer Games, HCSE-2008, Presented at: 2nd Conference on Human-Centred Software Engineering, September, Italy. Steve Goschnick, Sandrine Balbo & Liz Sonenberg (2008). The ShaMAN Agent Meta-model, ATOP-08, Agent-based technologies and applications for enterprise interoperability - a workshop at AAMAS-2008 ( http://eprints.unimelb.edu.au/10187/ ), May, 2008. Steve Goschnick. (2007) SQL+PaWS: SQL and People as Web Services, SIMTECH 2007, the first International Workshop on Social Interaction and Mundane Technologies (SIMTECH), Nov 26-27, Melbourne, Australia (4 page .pdf ). Goschnick, S.B. (2006) The DigitalFriend: the First End-User Oriented Multi-Agent System, OSDC 2006, the third Open Source Developers' Conference, Dec 5-8, Melbourne, Australia. Goschnick, S.B., Balbo, S., Sterling, L. and Sun, C. (2006) TANDEM - a Design Method for Integrating Web Services into Multi-Agent Systems, AAMAS-06, the Fifth Joint Conference on Autonomous Agents and Multi-Agent Systems, May 8-12, Future University-Hakodate, Japan. Balbo, S., Goschnick, S.B., Tong, D. & Paris, C. (2005) Leading Web Usability Evaluations to WAUTER. In Proceedings of the 11th Australian World Wide Web Conference (AusWeb), Gold Coast, Australia, 2005. Jin, T. & Goschnick, S.B. (2005) Utilizing Web Services in an Agent Based Transaction Model, Ch.13, Extending Web Services Technologies: The Use of Multi-Agent Approaches, edited by Lawrence Cavedon, Zakaria Maamar, David Martin and Boualem Benatallah; Springer,ISBN: 0-387-23343-1. Murphy J., Howard S., Kjeldskov K. and Goschnick S. (2004) Location, Location, Location: Challenges of Outsourced Usability Evaluation. In Proceedings of the Workshop on Improving the Interplay between Usability Evaluation and Interface Design, NordiCHI 2004, Tampere, Finland. Goschnick, S.B. & Graham, C. (2004). Augmenting Interaction and Cognition using Agent Architectures and Technology inspired by Psychology and Social Worlds. Proceedings, 8th ERCIM Workshop 2004 "User Interfaces for All", June, Vienna, Austria. Steve Goschnick, Sandrine Balbo, Derek Tong, Cathy Glen, Tony Chiang, Wendy So & Chi-May Ooi (2004). WEPN – Web Evaluation Path Navigator. Tenth Australian World Wide Web Conference (AusWeb), Gold Coast, Ausrtalia, 2004. This Poster received the 'Best Poster Award' AusWeb-2004. Goschnick, S.B. & Graham, C. (2003). Supporting Interaction in Mobile Co-operative Contexts using Agent Technology. Proceedings, OzCHI-2003, "New Directions in Interaction: Information Environments, Media and Technology", Nov, Brisbane, Australia. Steve Goschnick & Leon Sterling (2003). An Agent-based Digital Self in a 24x7 Web Services World: Architecture and Implementation. In Proceedings of the IEEE/WIC International Conference on Intelligent Agent Technology (IAT 2003), pp 175-181. Halifax, Canada. Goschnick, S.B. & Sterling, L. (2003). Enacting and Interacting with an Agent-based Digital Self in a 24x7 Web Services World. In the proceedings, Workshop on Humans and Multi-Agent Systems, at the AAMAS-2003 conference, Melbourne, Australia. Goschnick, S.B. & Sterling, L. (2002). Psychology-based Agent Architecture for Whole-of-user Interface to the Web, Proc. of HF2002 Human Factors Conference: Design for the Whole Person - Integrating Physical, Cognitive and Social Aspects, Melbourne, Nov. 2002. Poster (in pdf format) /Short paper. Steve Goschnick and Leon Sterling (2001). Shadowboard: an Agent-oriented Model-View-Controller (AoMVC) Architecture for a Digital Self, Proc. International Workshop on Agent Technologies over Internet Applications (ATIA'2001), Tamkang University, Taipei, Taiwan, Sep 2001. (We received 'Best Paper Award' for this paper). S.B. Goschnick (2000). Shadowboard: A Whole-Agent Architecture that draws Abstractions from Analytical Psychology (this links to an 800KBytes .pdf file), Proc. PRIMA 2000, Melbourne, Aug 2000. S.B. Goschnick, S.B. (2000). ShadowBoard: Revisiting the individual in MAS. Technical Report TR2000/6, Dept. of Computer Science & Software Engineering, University of Melbourne, May 2000. S.B. Goschnick (1998). 'Design and Development of Melbourne IT Creator - a System for Authoring and Management of Online Education', TOOLS Pacific 98, Melbourne, 23-27th November, 15 pages. Cassin, A. and Goschnick, S.B. (1998). System Requirement Specification for Melbourne IT Creator Metadata Agent. Melbourne IT Internal Report, pp.23, July98. S.B. Goschnick (1992). An Object Lesson in OOP - A General Board Game Class, at ASD'92, the 1st Australian Software Developers Conference, Sydney, 25-27th November. S.B. Goschnick (1992). Comparison of OOP Features, Borland C++ and Turbo PASCAL. ASD'92, Sydney, 25-27th Nov.
S.B. Goschnick (1988). The GoSCREENS System. 'Proceedings of CHISIG (Computer Human Interface Special Interest Group of the Ergonomics Society of Australia) Annual Seminar/Workshop, Monash University, Nov. pp. 1-12. S.B. Goschnick (1984). DBMS (Data Base Management Systems) in Research Project Management. Proceedings of the Australian Computing Conference, Sydney, Nov. pp 179-191. S.B Goschnick (1983). Research in Progress: ARTEMIS  The Application of a Database Management System to Research Project Reporting at ARRB. Australian Road Research, 13(3), September 1983. Pp226-233. [Nb: Steve Goschnick - In Profile, p242, same issue of Australian Road Research]. K.G. Sharp, P.J. Armstrong, S.B. Goschnick & S. Buffington (1984). The performance of a Heavily-Trafficked Concrete Block Pavement at the Shire of Flinders. Australian Road Research, Vol. 14 No. 3. pp 149-153. P. Dumble & S.B. Goschnick (1980). Some Improvements to Current Practices of Estimating Individual Choice Models with Existing Data. Proceedings 6 th. Australian Transport Research Forum, Brisbane, pp 449-480. S.B Goschnick (1980). The Development of a Database for Individual Choice Models. ARRB Internal Report AIR 350-2, 51 pages. Orchestrating Web Services (See Jin Tao under research students below). Agent-oriented Interface Systems (in conjunction with Solid Software Pty Ltd). Preference-aware network-powered auto-path guides: advancing software agent and learning techiques to guide ITC users by their personal preferences and needs. Student team completed: The WEPN (Web Evaluation of Path Navigation) Project - which won 'Best Computer Science Project' for the Year, 2003. Harvesting User Context as Computational Constraints and Terms. Internationalisation and Localisation (I18n and L10n). Jin Tao - Research Masters - Orchestrating Web Services Drawing upon Distributed Database Transaction Models. Sally Lane - Honours - User Interfaces for Navigating Information Hierarchies. 11 May 2005: Guest lecture to 433-862 - Intelligent Software Agents: Masters level subject, Department of Computer Science & Software Engineering, University of Melbourne. 25 Mar 2005: Presentation to Agents-VIC meeting. 29 Oct 2004: Userfriendly Orchestration of Web Services is the Broadband Killer-App. Seminar Series, Department of Information Systems, University of Melbourne. 26 July 2004: Evaluating your current technology: What technology do you need in place to facilitate your web services strategy. Application Integration Using Web Services Conference, Ark Group Pty Ltd, Sydney. 1 Nov 2002: Visualisation and the Shadowboard Interface. Interaction Design Group Seminar, Department of Information Systems Seminar Series, University of Melbourne. 25 Oct 2002: Enhancing the User Experience in a 24x7 Web Services World: an Agent-based Digital Self (links to a .pdf). Department of Information Systems Seminar Series, University of Melbourne. 22 Oct 2002: Shadowboard: a Psychology-based Agent Architecture and Visual Interface. Department of Computer Science & Software Engineering Seminar Series, University of Melbourne. SOCABE 2005: The Workshop on Service-Oriented Computing and Agent-Based Engineering at AAMAS-2005. WSABE 2004: Workshop on Web Services and Agent Based Engineering. WSABE 2003: Workshop on Web Services and Agent Based Engineering. 2005, 2004, 2003 (both semesters): 615-570 Database Systems and Information Modelling within the Dept of Information Systems, the University of Melbourne. 2004: 615-240 Concepts in Software Development 2 within the Dept of Information Systems, the University of Melbourne. 2004, 2003: 615-230 Database Concepts within the Dept of Information Systems, the University of Melbourne. 1998, 1999: 433-371 Interactive Systems Design within the Dept of Computer Science & Software Engineering, the University of Melbourne. Postgraduate: M.Eng.Sc.(Comp. Sc.) - Master of Engineering Science (Computer) by Research, University of Melbourne, 2002. I was the recipient of an Australian Research Council/DEETYA SPIRT / APA(I) research award for this study. Graduate: B.E. - Bachelor of Engineering, Monash University, 1978. Attended a 5-day Microsoft certified course titled Application Development with MS SQL Server V6.5, in Oct97, given by Auldhouse Training P/L. Attended Fundementals of Distributed Object Computing training course, given by Object Oriented P/L, Nov97. Attended Marketing Your Product TAFE short-course Mar89. I attended a course in the C Language for Programmers given by Technisearch in November 1986, and programmed in that language up until moving to the C++ language in Nov'89. I attended a course in 'Communications and Networking at the Chisholm Institute of Technology in 1986. I attended a course in Data Base Technology at the Caulfield Institute of Technology in 1981. 2005-Present: PhD Student, University of Melbourne. Dec'2000-Present: Senior Research Fellow, University of Melbourne. 1986-Present: CEO, Solid Software Pty Ltd. See web-site at: http://www.solidsoftware.com.au. June 2000-Dec 2001: Honourary Fellow, Department of Computer Science & Software Engineering, University of Melbourne. 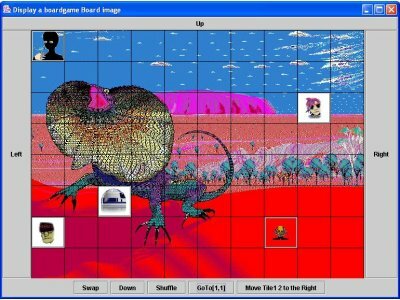 May'97-May'98: Project Manager, developed Melbourne IT Creator V1 - a customisable multimedia integrated learning environment and authoring tools. Note: I signed on for a 1 year contract, to build up a programming team and develop the V1, for which I had earlier done the Analysis and Design via a 3-week contract in Jan97. Melbourne IT Pty Ltd. I hired 12 programmer/software engineers and built them into an effective, cohesive and productive team. The Beta copy of V1 was completed on time, whereafter it was handed to a Product Manager for market readiness. Semester 2, '98 and '99: Lecturer. Co-developed and co-lectured a third year subject: 433-371 - Interactive System Design. Dept of Computer Science, University of Melbourne. With Professor Liz Sonenberg, now head of Dept. Information Science, University of Melbourne. 13/09/88-20/03/89: Australian Road Research Board, Computer Centre, Manager of Distributed Systems (CSO 3(3)). 6/2/86-13/03/88: Australian Road Research Board, Computer Centre, Manager of Microcomputing and Networking, (CSO 3). 9/2/84-8/2/85: State Electricity Commission of Victoria, Forecasting and Tariffs Department, Analyst/Programmer, (E 2(4)). 24/9/80-9/2/84: Australian Road Research Board, Computer Centre, Analyst Programmer, (CSO 1(1) - 1(5)). 9/2/79-24/9/80: Australian Road Research Board, Transport Department, Experiment Officer (EO 1(2)). Oct'2002+: Analysis, Design and development of the GlobalEd data-driven web-site. 2002: Ongoing Java development of Motion Workshop - a project utilising Quicktime in Java. Dec'2001: Feasibility Study for redevelopment of the web-site of the Deptment of Information Systems, University of Melbourne. July'2000+: Analysis and Design of project for Melbourne University Private. Oct'99: For NeverNever Net P/L. Website database backend Analysis, Design and initialisation SQL procedures, for National Trust (Victoria) website. Jan'97: For Melbourne IT P/L. Senior Analyst, Analysis and Design for CMILE (a virtual university Internet system, later developed at Melbourne IT P/L, then a commercial arm of the University of Melbourne. I used the Booch OOA/D methodology (Jan97). After a prototype was built, I became Project Manager to implement the system, later called Melbourne IT Creator, which was done by hiring 12 programmers and software engineers. April-May''95: For Mincad Systems Pty Ltd. Analysis and Programming PADS V2 I wrote V2 enhancements to PADS - Pavement Analysis and Design System. Language used: Visual BASIC V3 under Windows V3.1. Referee: Dr. Leigh Wardle, Mincad Systems. BranchOut (92/94): I developed Branch-Out in C++ - a multi-media, multicultural adventure game, for the Office of Multicultural Affairs, when it was still a part of the Department of the Prime Minister. The project consisted of 55,000 lines of C++, hundreds of icons and graphics files, and several databases of cultural information. Solid Software won the contract to develop and market the game, after my concept called Branch-Out won a competition - the challenge was put to all Australian games companies at the time - for an innovative multicultural adventure game. SlimWinX/XSpaces (91/92): I wrote SlimWinX in C++. It consists of 15,000+ lines of original source code, over and above the underlying GTO (Graphics, Text and Objects - includes the XSpaces system) system code, which is used for graphic windows on a DOS PC. 2003 Sep 28-Oct 1: I was invited (by the AUC) and gave one-day workshop called 'Jump-start to Java on Max OSX' to the Apple University Consortium Academic and Developers Conference, University of Adelaide, Adelaide. 2002, Sep 24-25: I developed and gave a 2-day course titled Jump-start to Java on Mac OSX, at the IDEA Lab, Dept of Information Systems, the University of Melbourne. 2002 Feb 12-13: I developed and gave a two-day 'Jump-start to Java' course for the Summer School programme of the University of Melbourne. I developed and a series of lectures on Java, Java Swing, Web Design and Web Tools to 3rd year students in 1999 and 1998, Dept of Computer Science, University of Melbourne. I was contracted to prepare and present a 2 day 'C Language' course by Victorian TAFE (Technical And Further Education) colleges, for their computer language teachers throughout the state, to become skilled in C language usage. Presented 30/11/89-01/12/90. I presented it again on request for Australian Road Research Board 15/05/90 and 17/05/90, and also to programmers at Ferntree Computer Corporation 18/03/91 and 20/03/91. 1989: I have given a 6 month course for the Certificate of Business Studies (Microcomputing) at the Lilydale TAFE college. 1989: I have given short courses in MS-DOS, Lotus 1-2-3 and DBASE at the Outer Eastern College of TAFE in Melbourne. I presented several public seminars at the ARRB in the early 1980's on relational database issues including the importance of the ANSI database language SQL. I am currently coding The Digital Self Project - a state-of-the-art software agent system - here at Solid Software, in Java 2 (JDK1.4.2). It is currently in excess of 50,000 lines of code. It will be available for public release early in the first half of 2005.I.e. The release is imminent. I am Expert in the C++ and C languages (including hand-coding 70,000 lines of C++ in SlimWinX + BranchOut). Via my expertise in object-oriented programming in general and C++ in particular, I moved rapidly into the JAVA language, starting with a substantial Applet (uses sub-windows, video buffering, animation, vector graphics, text display, panels of buttons, etc ) in March 1997, viewable in any Java-enabled browser at: http://www.solidsoftware.com.au/I_Ching/I_Ching.html. Via that experience with the troublesome AWT class library, I moved rapidly to Java's crossplatform Swing interface library in Java 2, which I've since taught at University of Melbourne, as an introduction to Interactive System Design. I am proficient in the following computer programming languages: Object PASCAL(DELPHI), Visual BASIC, Fortran 77, SQL, BASIC, PLI & COBOL - having completed at least one major project in each of them. I have done major work in the Data Base Management Systems in SQL. Ive also implemented less substantial systems in PC database packages DBASE and M/S ACCESS. I am proficient in the use of the major statistical analysis packages, SPSS and SAS. I am proficient in the use of HTML V4 - enough to do this web-site. I am a proficient user of numerous software productivity tools including: Microsoft Word; Excel; Lotus 1-2-3 (I've received royalty payments on one of my spreadsheet macros - seriously); MS SQL Server; MS Project; Visio; DreamWeaver, ED for Windows; Visual Studio; Borland J Builder; and others. I work primarily on a Mac OSX laptop, a Windows desktop and a Linux server. The Digital Self Project, an agent-oriented system which is an implementation of the Shadowboard Agent Architecture, currently being written in the Java language. This project received grant funding from the 'TELSTRA Broadband Fund' during 2004. It was amongst a shortlist of 13 projects to receive such funding from over 300 project proposals. Status: Completed. Release date: Sep, 2005. SG_Board, a 2D board-game engine. This is downloadable for free - its written in Java and has recently being release as an Open Source project. Figure 1: Demo Application using the SG_Board 2D game engine. CLS, a Concept Learning System. I Ching, a browser-hosted Applet written in 100% JAVA JDK V1.02 - which means it continues to run in most Browsers. SlimWinX, an event-driven object-oriented windowing system, consisting of 15,000 lines of OOA/Ded C++ code. BranchOut, a multi-media, multicultural adventure game which operated on MS/DOS VGA systems, consisting of 55,000 lines of object-oriented C++ code. Octadial, a Logic-puzzle game written in C++. Figure 2: Octadial V2 Interface. LottoCheck V1 for DOS, in PASCAL. Curator is a library manager for graphics backdrops/wallpapers to MS WINDOWS. This program was released August 1992 within a package called Graphic Gallery for WINDOWS, by the Australian publisher, Dynamo House P/L. In the US, publishing rights have been taken up by the company Lifeboat Associates, a division of Voyager Software Corp. Solid Software has since taken over rights and stock of Graphic Gallery for Windows. Graphic Gallery was a concept devised by Solid Software. Curator is written in the C language. It consists of about 8,000 lines of source code which is adapted from the Seetree (program below) code. Lottocheck INFORM V2 for Windows. A much enhanced version of an earlier DOS program - this Windows V3.1 program was developed in a 3 month period leading up to Jan95. It is still marketed by Solid Software. The purpose of it is two fold: to educate the mathematically naive about the remote chances of winning lotto games via empirical access to the whole history of past numbers and dividends paid; to enhance the fun and enjoyment of those players who already know and appreciate the remote chances they are up against. Lottocheck INFORM for Windows is written in M/S Visual C++ making extensive use of the MFC class library. It consists of over 5,000 lines of original source code. We consider our marketing an example in responsible marketing of a product servicing a legitimate need in the Home market, in an market-segment otherwise prone to exaggeration and much worse. 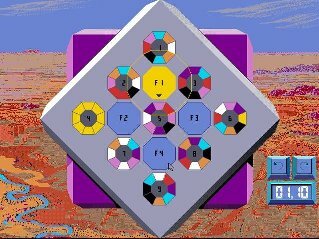 Octadial is a graphical puzzle-logic game for the IBM PC with EGA or VGA graphics cards. Marketed in Australia from Nov'90. Octadial is written in the C++ language. It consists of some 4,000 line of original source code, and uses every available object oriented feature of the C++ language. (It began as an exercise in the C++ language, but quickly became a finished and marketable product, due to the productivity available through that language.) There are tentative plans to do a much expanded Octadial for Windows 95 and the Internet, but it is currently low priority. Seetree is a DOS Shell and File Manager for the IBM PC and compatibles. Marketed July'1988-Dec1993, mainly towards the corporate and education markets. Single copy sales: exceed 450 copies. Site Licenses: "100+ Copy Licences" were sold to: Curtin University (WA); ARRB (VIC); ACI Computer Services (VIC); NSW Education Department (have a state-wide licence); NSW State Rail Authority; NSW Department of TAFE; Sydney Water Board; Monash Medical Centre; Legal Aid Commission of VIC and the ANZ Bank (VIC). There is current work going on to place the Seetree code into the graphical environment of our SlimWinX technology, which we are targeting for a Technology sale to an Internet Machine/laptop manufacturer. Seetree is written in the C language. It consists of over 15,000 lines of original source code. Lottocheck V1, a lotto database storage and analysis system, for MS/DOS based IBM PC, aimed squarely at the domestic home/games market. This program aims to graphically educate the layman about the remote odds of winning such games. Marketed Jan'88-Jan91. Single copy sales: over 2000 in Australia, some to schools. It has many enthusiastic users. LOTTOCHECK was translated to French for the French LOTO game, in conjunction with a French company called IBL. Lottocheck is written in the Turbo PASCAL language. It consists of about 6,000 lines of original source code, including state-of-the-art, user-friendly screen-input forms. There was also an earlier Commodore-64 version, before the DOS version, written in G-PASCAL. Melbourne IT CREATOR V1.0 (1998). Project Manager, a Customisable multimedia integrated learning environment, with authoring tools. Note: I signed on for a 1 year contract, to build up a programming team and develop the V1 after doing the Analysis and Design via a 3-week contract in Jan97. Creator V1.0.1 was achieved on target, 01/03/98. The team numbered 12 software engineers when the product was handed over for testing, market turning and production. Creator Referee: Lex MacArthur, CEO, ADI - Australian Distributed Incubator (formerly, Marketing and Business Manager, Melbourne IT). SIDMAN (1988). I wrote SIDMAN as a PC based user-friendly interface program to SIDRA, a traffic management program written earlier for mainframes computers, by Mark Besley and Rhamai Ackcelik, both Traffic Research scientists at the ARRB. The two complementary programs are sold together as a package internationally by the ARRB, to consultants, traffic engineers and universities. Sales have exceeded 150, in 23 countries - last time I looked. GENSEL (1984). GENSEL provides GENeral purpose SELection of data from the SECV customer database. It is used for tariff modelling and SECV budget balancing. The specification for this program had two very tight and opposing objectives: Firstly, to access the Commissions annual archive of customer billings, typically containing 13 million records each. The annual archives are stored on magnetic tape (a much slower medium, then hard disk). Secondly: The users requests of the program, were to be wide and varied and largely unpredictable in the future. My solution was to write a highly optimised program in PL/1, that was driven from a very flexible command file of options. The user options can be added together like the phrases of a sentence, thus giving a flexible range of possibilities. GENSEL was used at the SECV there on almost a daily until the utility was privatised. Gensel Referee: David Lukies, Manager, Business Planning, Powercor Australia (formerly Tariffs and Forecasting Manager, SECV). ARTEMIS (1982-3). ARTEMIS was the first large scale system I wrote. It was a system for the management of research projects, particularly for the ARRB. Much of the information stored in it was text-based: project aims, progamme statements, progress statements, project findings, publication abstracts, technical committee recommendations, directors decisions, etc. The push button reports that printed out from ARTEMIS, were draft sections of annual reports, technical committee agendas, collected volumes of research, and publication abstracts which eventually found their way into the International Road Research Document (IRRD), as a part of Australias obligations within the OECD. I wrote a conference paper on the experience, cited above. Artemis Referee: Dr Max Lay, Chairman, RACV (formerly Executive Director, ARRB). Computer Modelling of Ballarat Transport Network (1979): I built up a simulated mathematical model of the road, rail and tram network in Ballarat, as it was in 1970. It simulated the movement of vehicles along those routes, to establish travel times. This was to synthesise missing data in a research project based on Individual Choice Modelling. The simulated travel information, was combined with complementary actual data from the 1970 Household Interview Survey (HIS) data, for that city, and then passed into sophisticated statistical programs for analysis. See Research Paper cited above. JAVA and C++ are my current computer languages of choice, programming in Java since December 96, and in object-oriented C++ since 1989. I was so impressed by the revolution that OOP represented, that I wrote a series of three articles on the virtues of C++ for Your Computer magazine in 1990. The primary objective was to awaken Australian software developers to the great potential in Object Oriented Programming (OOP) in general, and in C++ in particular. From those initial led a number of unsolicited commissions for more article about programming and software development. I was commissioned to write a series of 4 articles as an Introduction to Programming for beginners for the Australian PC USER magazine beginning in June 91 issue. I also contributed to Your Computer magazine in 1991, on the Object Oriented Programming (OOP) in general and C++ in particular. S.B. Goschnick (1991). 'Programming Part IV: The User Interface and Top-down Design.' Aust. PC User magazine, pp.61-64,97-102, Oct'91. S.B. Goschnick (1991). 'Programming Part III: Are You Suited to Programming?' Aust. PC User magazine, pp.46-52, July 1991. S.B. Goschnick (1991). 'Programming Part II: Making a Start.' Aust. PC User magazine, pp.90-99, July 1991. S.B. Goschnick (1991). 'Programming Part I: Choosing Your Tools.' Aust. PC User magazine, pp.56-74, June 1991. S.B. Goschnick (1991). 'C++ - A Language of Liberation.' Your Computer magazine, Sep'91, pp82-88. S.B. Goschnick (1991). 'C++ Programming - Putting Large Projects Back in the Hands of a Few People.' Your Computer magazine, Aug'91, pp74-81. S.B. Goschnick (1991). 'Multi-user Business System.' Your Computer magazine, pp 37-41, July 1991, The Federal Publishing Company, NSW. S.B. Goschnick (1990). 'The C++ Language - A Cornerstone of the 90's.' Your Computer mazagine, Dec. pp 64-72, The Federal Publishing Company, NSW. In early 1993, I was approached to write a weekly column in The Computer Age, by the then editor, Charles Wright (Tuesday section of The AGE newspaper). Between Feb'93 and Oct'93 I wrote 40 articles which were published in my Code Cutters weekly column. Some have ongoing relevance and are online here. On request to write opinions on the computer industry with an Australian perspective, I have had the following editorial pieces published. 'Opinion' - The future of employment in the computing industry. Aust. PC USER magazine, December 1992 issue, p5. 'Opinion - If we are Fit to Run a Country.' A view as to why small software development companies can and should be successful in Australia. Aust. PC USER magazine, July 1992 issue, p.6. 'Opinion' - On developing horizontal market products in Australia. Aust. PC USER magazine, March 1992 issue, p.6. 'Opinion' - On Australian inventiveness and the need to match it with quality. Aust. PC USER magazine, January 1992 issue, p.6. ABC RADIO 3LO, Terry Lane Show (Melbourne, Sydney, Hobart, Newcastle), Wednesday 19/08/92, 12 minutes on: the Australian Industry; Australian Governments efforts to date; ASPA Inc; and the future direction of software and content. RADIO 3AK, with Graham Paton, 3/09/92, 12 minutes. ABC RADIO 4QR, Lifestyles segment with Chris Welsh, 04/10/92 (prerecorded 24/09/92), 13 minutes. RADIO 3RRR, Einstein a Go Go segment, with John Merakowski, 04/10/92, 17 minutes on: Art in software; Australian success stories; future of software in this country. I was a committee member for the Accreditation of the following TAFE college (Technical and Further Education) courses (introduced in 1989): Advanced Certificate in Information Technology, Advanced Certificate in Computer Operations, Associate Diploma of Computing (Programming), Associate Diploma of Computing (Microcomputing). I was elected as an Associate of The Australian Computer Society in 1983 and then to full Member status of the society in 1989. I was the Founding President of ASPA (Australian Software Publishers Association Inc.), formed in July 1990 and incorporated as a non-profit Association on 11/04/91, which had 33 member companies when I left the ASPA in 1995. I remained the president for the first 3 years, devoting considerable time and energy to furthering the plight of Australian developed, mass-market software. I have significant interests in Art, Architecture, AI, Multimedia, Dream Interpretation (the language of the mind), and also Psychology initially sparked by my growing children. I have travelled in Australia, New Zealand, Japan, England, Wales, France, Italy, Yugoslavia(1985), Greece, Austria, Germany, Switzerland, Belguim, the Netherlands, Spain, Scotland, the USA and Taiwan. This page last updated: Nov, 2013.